I read a lot of books last year… 102 if we’re being specific. I honestly didn’t think I was going to be able to finish this year, but with the help of audio books and some persistence, I did it. 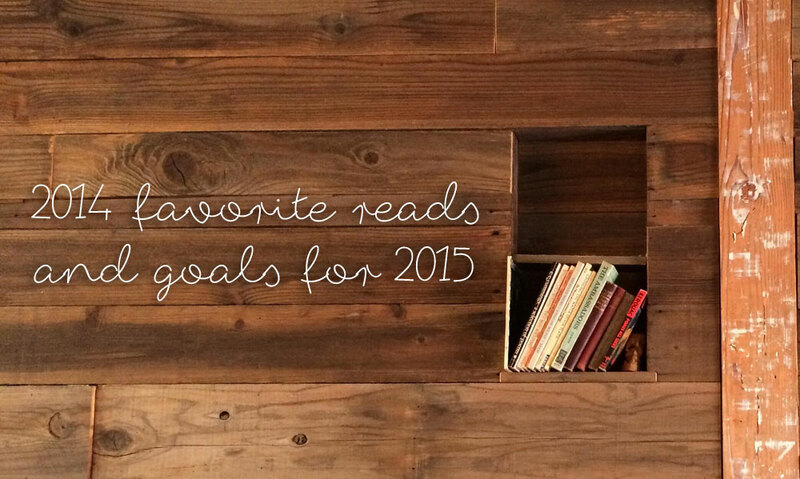 In 2015, I’m challenging myself to 150 books. Seems a little crazy, but at this time last year I wasn’t listening to many books, so I think I can challenge myself a little bit more this time around. But before I close the books on 2014 (ha, see what I did there? I crack myself up.) I thought I’d do one last round-up of the absolute best books of 2014, one from each month. The Husband’s Secret by Liane Moriarty – ★★★★ – I still can’t believe it took me the entire book to figure out what the secret was. I kind of felt a little dense about that, but I guess it’s a sign that the author did her job well. 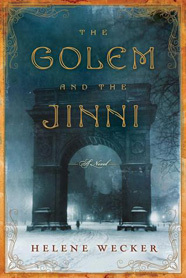 The Golem and the Jinni by Helene Wecker – ★★★★ – This one was a little out of my “normal” reads, but was super good and interesting! It was a book club pick and perhaps the only book club book I actually liked last year. Oops. Songs of Willow Frost by Jamie Ford – ★★★★ – Jamie Ford writes a lot about historical Seattle, so I can’t help but like his books. This was no exception, and I fell in love with the broken characters. Born Confused by Tanuja Desai Hidier – ★★★★ – This is the ultimate coming of age story that spans multiple young Indian-American women, coming to terms with their culture clash – modern America versus Indian traditions, and the complications that arise when these two cultures merge in the most interesting of ways. 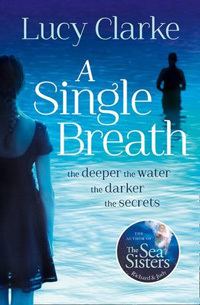 A Single Breath by Lucy Clarke – ★★★★ – I read Lucy Clarke’s Sea Sisters a few years ago and loved the way she writes her characters. A Single Breath is no different and adds some suspense and mystery to the mix. A good one for sure! 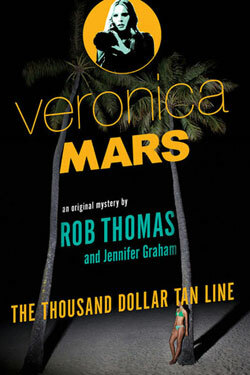 The Thousand Dollar Tan Line (Veronica Mars #1) by Rob Thomas & Jennifer Graham – ★★★★ – Okay, come on really? I had to go with this one! Veronica Mars lives on, now in book form. 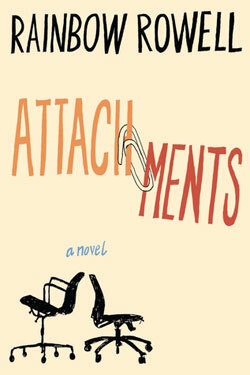 Attachments by Rainbow Rowell – ★★★★ – I loved this! Maybe it’s because I had a workplace romance of my own, but this was such a sweet and sentimental read. 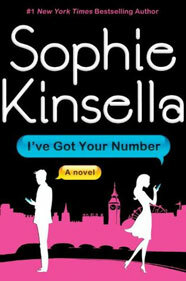 I’ve Got Your Number by Sophie Kinsella – ★★★★ – August was a bad month for me in terms of what I picked to read, but luckily I’ve Got Your Number was a fun book and truly the perfect airplane read. 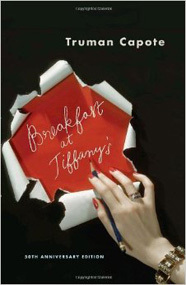 Breakfast at Tiffany’s by Truman Capote – ★★★★ – Not sure if it was the Michael C. Hall narration via Audible, or just the fact that I love this story, but this one was a good one. If it goes on sale on Audible again, do yourself a favor and pick it up. 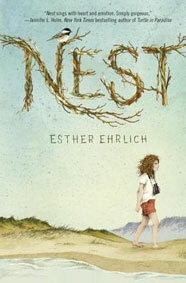 Nest by Esther Ehrlich – ★★★★ – This was one of the “downer” books I read this year, but it was written in such a touching and tender way that it’s hard to forget the story. Regardless of its “middle grade” categorization, this one is good for any age group. Necessary Lies by Diane Chamberlain – ★★★★ – Loved this one. I’m a little bummed that I didn’t read the prequel to this first to go in the “correct” order, but that’s alright. 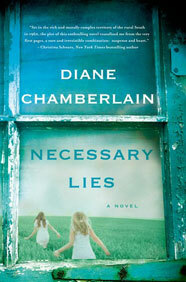 I’ll be picking up more Diane Chamberlain novels this year. 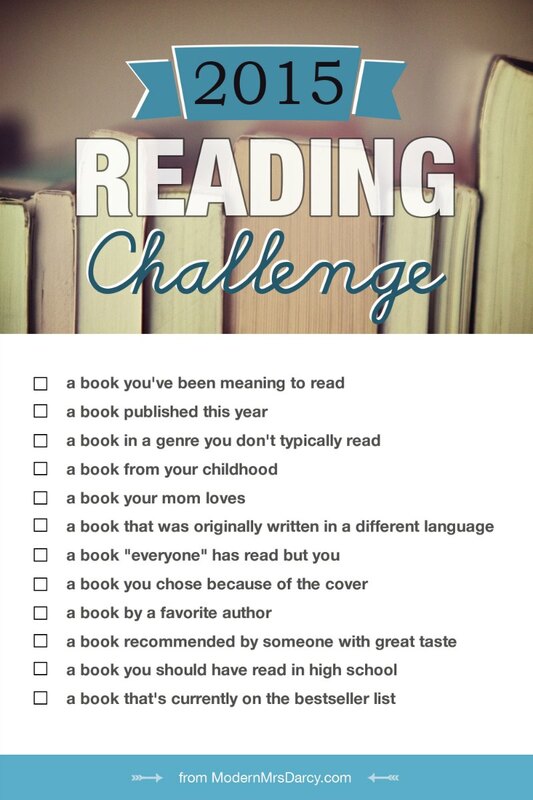 And if it’s not enough to just challenge myself to read 150 books, I also plan on participating in a few challenges. You may remember me signing myself up for the Semi Charmed Winter Book Challenge, which is still going on and ends in February. I got off track on that one, so that will be priority #1 so I can actually complete that this time! Finally, I’ll be joining the Reading Challenge with Modern Mrs. Darcy. And enough from me… what about you? I’d love to hear what you’re excited to read this year! Are you setting any reading goals for this year? Are you planning on joining any reading challenges? Ah I’m so glad someone else like Golem and the Jinni. That was actually the suggestion to my book club and I think they all though it was weird. I want to join the book challenge too. Haha, it was definitely different than what my book club had been reading previously, but I enjoyed it! I’m definitely adding a couple of these to my “to read” list. Attachments sounds like something I would really like! Thanks for the suggestions! I love all of your reading challenges! The Mrs. Darcy challenge looks like a great way to pick up a book that you wouldn’t normally read. Agreed – and it’s a great way to start some books that have been on my shelf for a long time! I need to get on this challenge. I also enjoyed the Husband’s Secret! Reading more for pleasure is a big goal of mine for 2015! I don’t think I’ll get anywhere near you, but I’m going for 20. Can’t wait to hear more about your progress ! Breakfast at Tiffany’s is one of my favorite books of all time. I read it for the first time when I was 16 and wrote my junior thesis on it. You’ve got some really good books on here. I’ll have to look into them for this year. I’m doing the Popsugar reading challenge but I want to add the one from Mrs Darcy now too. yay I’m doing the MMD challenge as well :) i haven’t read any Diane Chamberlain but I’ve heard good things, so she’s on my list! 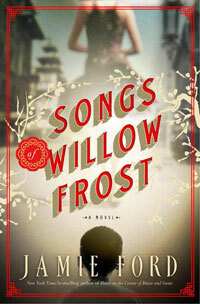 That songs of Willow Frost looks super interesting. Great list! I just finished The Husband’s Secret. It was the perfect book to get me back into reading after taking a short hiatus in December. I haven’t read any of these. Thanks for the suggestions! I’ve only read three of the books you shared! I’ll definitely be adding others to my to read list. I think Necessary Lies (and the prequel) will be at the top! Good choice – I’m defintely going to try to read the prequel soon too! My local library is celebrating 100 years so they’re doing an adult reading program from yesterday through the middle of March where you read five books set in or published in different decades and a 100 book challenge, which I don’t think I’ll manage. I’m also finishing up Semi-Charmed, doing a similar one on FB, the TBR challenge, and the Library book challenge. Luckily for the last two, they overlap a lot with my other ones. Dang that’s a lot of challenges! I could probably participate in more, but I’d probably forget to do all the check-ins and whatnot. Your library’s challenge sounds pretty cool – especially the different decades! You had me at Michael C. Hall narration via Audible for Breakfast at Tiffany’s. I’m all over that. I love these book challenges! They really get me motivated to read. Nothing like a little self-competition! It was so good. I loved listening to it! And agreed on the self-competition, plus I like the challenge of finding a book to satisfy the didferent categories! I love the challenges! I made a goal for myself of reading 60, and hope I can do that! I’m glad you like ‘If I Stay’ too. It gets so much flack, but I liked it, too! I started Nest and still need to finish it- you might have just motivated me to do that :) I’m going to check out that 2015 reading challenge too! So many other great recommendations too– thank you! You’re very welcome! Definitely finish Nest – I found it to be a quick read once I got into it! I loved the Thousand Dollar Tan Line and Attachments. I haven’t read the rest of these – will definitely have to add them to my reading list for 2015! And audiobooks make such a HUGE difference for me. Great round-up for 2014. I swooned for a couple! Thanks for joining in my reading challenge! I know you can do it, but will be rooting you all on! I think you can get to 150 book this year! I did 120 last year, but I didn’t really start reading a lot until a few months into the year. Initially, I was going to challenge myself to 200, but I moved it down to 150, so I wouldn’t feel pressured to skip the longer books to make my goal. 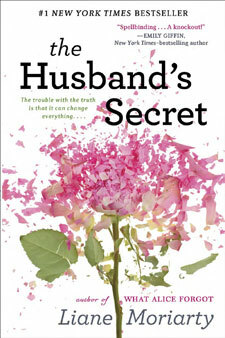 I also have a copy of The Husband’s Secret, which I really need to read, too. I guess I have plenty of material to reach 150! You picked some good books for your challenge. I still haven’t read Is Everyone Hanging Out Without Me? I just don’t get into non-fiction well, but there have been so many great, funny ladies with books out recently that I need to read! Haha, I haven’t caught up with all of your posts yet (eek, I’m so behind on blog readiing this month already! Darn vacation planning!) but I’m excited to see what you’re going to be reading this year! And I’m definitely going to be reading VM #2 on vacation. I cannot wait to start that! And I’ve heard nothing but good things about Mindy Kaling’s book so I think it should be a good one, non-fiction aren’t my favorite either, but I do like a good funny lady book! I am so glad to have gotten this list of recommendations from you, since I am doing a reading challenge (one book a week) this year and am hoping to find some new favorites. I LOVE to read, and read quite a lot for fun, but I’ve never done a challenge before some I’m nervous about getting it done. I know the amount of actual reading isn’t going to be a problem, but the discipline of pacing and blogging about it will be hard for me. I’ve never read the Harry Potter books (my fundamentalist Christian upbringing didn’t allow it) and am looking forward to reading them this year. You’ll love Is Everyone Hanging Out Without Me, it’s a really great one. 2014 was the year of the female comedian memoir for me, and I now own Mindy Kaling’s, Lena Dunham’s, Tina Fey’s, and Amy Poehler’s. I loved them all except Lena’s. I need to start listening to audio books! You’ll do great! And even if you don’t quite make it (because there are plenty of challenges I haven’t finished) you’ll still be able to read some great books! Harry Potter is amazing, hope you love it like I did! :) Out of those, Lena’s was definitely my least favorite. Her personality (or persona, not sure which it is, haha!) is just different. I’m excited to see what books you read in 2015 as I’ve found through reading your blog we have similar taste and I’ve found a few recs! I hope you hit your 150 book goal – I’ll be impressed! 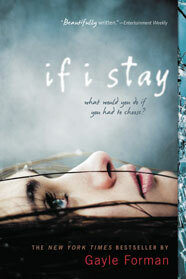 If I Stay is on my list to read… Can’t wait! Oh my, I’m terrible at reading or making the TIME for it… I think 2015 is the year I hunker down and just do it. I have a few already downloaded to Kindle.